It is debatable to review the appropriateness of the application of the mutuality principle as an instrument of Government policy. The position can easily be understood in a very simple way as referred by Hon’ble Delhi High Court in Yum! Restaurants (Marketing) Private Limited versus Commissioner of Income Tax (ITA No.1433/2008 dated 01-04-2009). The brief facts as summarized is that : Parent company , having license arrangement with foreign companies , used to market ready to eat food items through franchisees, formed a new subsidiary company to take care of publicity on behalf of the franchisees with the proper permission of the state authorities. The parent company was granted permission on the condition that the subsidiary would be a non-profit enterprise and that it would not repatriate its dividends. Thus a new company was formed under tripartite agreement with the condition that all the franchisees will be members and will pay 5% of the gross sales in order to carry on co-operative advertisements to promote all the brands of which parent company was a licensee for the mutual benefit of the franchisees. It was expressly stated that surplus if any left in the accounts will not be distributed but will be carried forward for future use as per the terms of the agreement. A return was filed showing income as nil despite the fact that there was a surplus but as per the views of the company the same was not taxable on the principles of mutuality and on no-profit basis. The case was discussed at the assessment stage and the assessing officer was of the view that despite the fact that the company was being run on the basis of mutuality concept, but contributions received were not in accordance with the terms of agreement and the existence of the company was not to deal with a social/charitable cause. The main object of the said company was to promote business on behalf of members for better sales and consequently to earn more and more profit. An appeal was filed with the commissioner of income tax (appeals). The observations made by commissioner of income tax appeals were that the company was set up with a commercial purpose to take care of activities which are crucial for running a successful business and is linked to the profit on sale of franchisees. Further, the company was in no way created for any social or cultural activity where the idea of profit or trade does not exist. The only restriction as per the agreement was not to deal with the outside body to make it a mutual concern. Thus the CIT (A) was of the view that the underlying purpose was solely for commercial consideration and excess of income over expenditure should be brought to the tax. The above view was confirmed by the Tribunal as well as the High Court of Delhi while dealing with the appeals filed by the aggrieved assessee-company. Thus, the concept of Mutuality postulates that all the contributors to the common fund must be entitled to participate in the surplus and that all the participators in the surplus are contributors to the common fund. It is in this sense that the law postulates that there must be a complete identity between the contributors and the participators. The essence of the doctrine of mutuality lies in the principle that what is returned is what is contributed by a member. ‘A person cannot trade with himself’ is the basic idea in the principle of mutuality. It is on the hypothesis that the income which falls within the purview of the ‘doctrine of mutuality’ is exempt from taxation. In the case in hand, there is a complete identity between the contributors and participators; the actions of the participators and contributors are in furtherance of the mandate of the association. There seems be no element of profit by the contributors from a fund made by them, which could only be expended or returned to themselves. Based on these conditions and respectfully relying on the case laws as the Hon’ble Apex Court and various High Courts laid down that the case of the assessee falls within the four corner of the ambit of the ‘Principle of Mutuality’. “1. On the facts and in the circumstances of the case and in law, the ld. CIT(A) erred in holding that the KPMG is a mutual association and its receipts would not constitute income chargeable to tax and is not obliged to withhold any tax without appreciating the facts. i} that the expenses incurred by the assessee company toward alleged reimbursement of cost is actually in the nature of royalty as laid down in section 9(1)(vi) of the I.T Act. ii} that such remittances constitute income of the foreign company for the purpose of section 195 of the I.T. Act and therefore, tax was liable to be deducted at source in respect of such expenditures. iii} that the payments made by the assessee to KPMG international for names, mark and other facilities were in the nature of royalty and chargeable to tax in India. “1. On the facts and in the circumstances of the case and in law, the Respondent prays that the overseas remittances made to KPMG International, Switzerland, a mutual association, by the Respondent as its Member are in the nature of membership contributions constituting business income not taxable in India under Article 7 of the India-Switzerland Double Taxation Avoidance Agreement (‘the DTAA’) in the absence of any Permanent Establishment of KPMG International in India under Article 5 of the DT AA. “9. The assessee has raised a legal argument that the payment made to M/s KPMG International is not chargeable under the provisions of the Act, for the reason that M/s KPMG International is a mutual organization and the assessee is a member of such mutual organization. This argument has not been adjudicated upon by the first appellate authority for the reasons given at para 5.5 at page 15 of his order, which is already extracted by us herein above. In our considered view the first appellate authority was in error in not adjudicating the issue. The assessee has a right to argue that the amount paid by it to M/s KPMG International, does not give rise to any income chargeable to tax in India and thus the assessee need not deduct any tax at source. The issue whether the assessee can take such an argument has attained finality by the decision of the Hon’ble Supreme Court of India in the case of G. E. India Technolpgy Center Pvt. Ltd. v. CIT and Other, Civil Appeal nos. 7541 – 7542 of 2010 Judgment dated 9th September 2010. In view of the above, we are of the opinion, that the first appellate authority should have adjudicated on the issue whether the payment made by the assessee is chargeable to tax under the Act. The apprehension of the learned DR, that a decision on this matter would have ramifications in the other cases and also the argument that the issue whether M/s KPMG International is a mutual concern or not, cannot be decided in this case, is devoid of merit. The assessee is a member of KPMG International and it is for the assessee to satisfy the adjudicator, with all possible evidences, that M/s KPMG International is a mutual concern. When the assessee is making a claim it is for the assessee to prove its case. Thus we reject this argument of the learned DR.
4. In the remand proceeding, the ld. CIT(A) held that M/s KPMGI is a mutual association and its receipt would not constitute the income chargeable to tax and the assessee was not obliged to withheld any tax on such receipt. The ld. CIT(A) thereby quashed the order of AO in its order dated 11.01.2012. Aggrieved by the order of ld. CIT(A) dated 11.01.2012 the Revenue has filed the present appeal before us. On service of notice of appeal, the assessee has filed the C.O. 5. We have heard the Sh. Shri Rajguru M.V. ld. Sr. CIT-DR for the Revenue and Sh. Arvind Sonde ld. Sr. Advocate/counsel for the assessee and perused the material available on record. The ld. DR for the Revenue argued that M/s KPMG International is professional service company being one of the big four Auditors. The assessee, an Indian Firm is the Indian Member of M/s KPMG International. During the year under consideration, the assessee remitted the amount of Rs. 3.57 Crore to M/s KPMG International without TDS as required u/s 195 of the Act. The assessee claimed M/s KPMG International to be a mutual association and on the principle of mutuality no tax is deductable. As per the agreement signed by assessee and M/s KPMGI certain marks as set forth in Appendix “A” to the agreement in connection with providing and advertising of service in the field of auditing and accounting, taxation, management consultancy, corporate recovery, corporate finance and other areas approved by the International Board. It was further argued that the fees charged for the use of name, mark and other facilities. The assessee acquired goodwill associated with the name of “KPMG” and various other consequential benefits, additional and incidental incentive as well through the payment made to M/s KPMG International is for use of brand name and therefore, covered by the definition of “Royalty”. The assessee claimed that M/s KPMG International does not work with any profit motive while carrying business or profession. It was further argued that the AO in his order has specifically brought out the fact that as per para 6(a) & 6(b) of Membership Agreement, in case of any finance support required by any member, the same is provided in the firm as interest bearing loan and the rate of interest is charged at the rate at which Headquarter/Head Office borrowed the fund plus additional one percent. M/s KPMG International also charged guarantee fees @ 1% of the amount guaranteed. These facts constitute the profit, which is against the principle of mutuality. The Ld. DR for the Revenue further submitted that the feature like inspections of books, levy of penalty, imposing restriction on professional and financial decision to members are also against the principle of mutuality, the basic motive of assessee of joining membership of M/s KPMG International is to avail all goodwill associated with name ‘KPMG’ by virtue of which, names, marks and other facilities enhance the client based on provision to KPMG International enjoined absolute authority on their planning and strategy on sales, financial and even conduct of profession of members firm. All these made the issue of mutuality inapplicable, mutuality means complete identity between the contribute participator. Once the contributor acts a watch over the activities of the members/participator, the separate identity does not exist in fact the relation between assessee and M/s KPMG International is that of franchisee and not of a member of mutual association. The main object of M/s KPMG International are tainted with commerciality and its elementary aim is to create an International Chain of professionals who could practice across the globe by using its name and marks, in terms of making payments of percentage from the respective turnover. In support of his contention ld. DR for the Revenue relied upon the decision of Mumbai Tribunal in DCIT vs. M/s Arthur Andersen & Co. (ITA No. 9125/Mum/1995), the decision of Hon’ble Karnataka High Court in case of CIT vs. Bangalore Club (2006) 156 Taxmann.323. The ld. DR for the Revenue further refer and relied upon the decision of Tribunal in De Bears U.K. Ltd. vs. DCIT (2012) 18 Taxmann.com 249) (Mum) and Merit International Inc. vs. DCIT (2016) taxmann.com 347 (Mum). 6. On the other hand Sh. Arvind Sonde ld. Sr. Advocate, Counsel for the assessee argued that assessee is an Indian member of KPMG International. KPMG International is registered in Switzerland and its head office is situated in Netherlands. M/s KPMG International is a mutual association/ organization and the assessee is a member of organization. During the year under consideration the assessee made payment of Rs. 3.57 Crore to its PE in Switzerland. While making the payment no tax was deducted at source under section 195 of the Act. The payments made were in the nature of reimbursements of cost and there was no element of income chargeable to tax therein. The principle of mutuality applies to the case of assessee, thus, the assessee was not liable to deduct tax at source at the time of payment. It was further argued that the amount remitted by assessee outside India is in the nature of reimbursement of costs to KPMG International and the same was limited to enable the KPMG International in discharging its function within the term of membership agreement signed by assessee. It was further argued that the members of KPMG International are spread over 140 Countries across the Globe. The members of KPMG International are looked at in high esteem by the industry and the Governments, to maintain essential, minimum and consistent standard in methodology is being followed by its member firms worldwide, while rendering service to its client. In order to co-ordinate the activities of the members, double up Abilities and raise professional standards certain cost are involved. As per arrangement between the members, cost of KPMG International was decided to be pooled by its member firms. Thus, in turn the members have access to all benefits that arise from such membership and they would accordingly reimburse their respective share of cost incurred. Such reimbursement is granted on the basis of respective turnover of the member firms. KPMG International does not charge any markup on the cost recovered from the member firms and operate on no profit and no loss model. The amount actually paid by assessee is in fact reimbursement of expenses and the assessee is not liable to deduct tax at source under section 195 of the Act. The turnover is adopted on the basis of allocation of the cost on reasonable basis. No amount has been recovered over and about the cost incurred. In case surplus is generated, the same is adjusted in the subsequent year’s contribution and this fact is evident from the financial statements of KPMG International. The cost of KPMG International are estimated at the beginning of the year and recovered from the member firms list at the end of the year, the actual cost are taken into consideration and the share of cost of each member is determined. In support of his submission the learned counsel relied upon the decision of DIT versus AP Molar  taxman.com 287(SC), DCIT versus Ernst & Young Private limited  49 taxman.com 386(Kolkata tribunal), DIT versus WNS Global Services(UK)  214 Taxman 317(Bombay), CIT versus Siemens Akitongesellschaft  320 ITR 320 (Bombay), WNS North America Inc ADIT  141 ITD 1 17(Mumbai); Jaipur Vidyut Vitran Nigam Ltd Versus DCIT  123 TTJ 888 (Jaipur). 7. For the treating the remittance of assessee to KPMG International as ‘Royalty’, the learned counsel argued that, when the parties had understood the agreement in a certain way and had acted upon the agreement, it is not open for the revenue authorities to give another interpretation and to tax the assessee on a hypothetical amount, as Royalty payable. The AO is not authorized to re-write the term of commercial agreement entered into, when agreement is held as valid and general and not collusive. It was mutually agreed under Article 3(q) of the membership agreement dated 1 October 1998 that the members firm shall contribute toward the cost of KPMG International, and not for use of name, marks etc. It is not open for the revenue authorities to rewrite the nature of payment as ‘royalty’. The learned counsel also drawn our attention to Article 7 of India-Switzerland DTAA (tax treaty) dealing with “business profit” and accordingly, submitted that provisions of Article 12 relating to “royalty/fees for technical services” have no application. In alternative it was argued that the payment on account of membership contribution are in the nature of business arrangements, whereby services would be rendered to its member firms in relation to professional services for a mutual interest and the services including the use of name trademark and other services elaborated in the agreement were incidental to the said arrangements between the assessee and the KPMG International. Thus, presuming it is an income of the KPMG International the entire amount toward the service is therefore “business income” of associated enterprises of assessee as defined under Article 7 of India- Netherland tax treaty. In support of his submission the learned counsel relied upon the decision in D.S. Bist versus CIT  149 ITR 276(Delhi); CIT versus Arun Dua  186 ITR 494 (Calcutta); CIT versus Sheraton International Inc  313 ITR 267(Delhi) and  150 TTJ 523(Delhi); Baas International holding NV versus JCIT ITA No. 434 1/M/2002 and Six Continents Hotel Inc Vs DCIT  46 SOT 979 (Mumbai). On the ratio of ‘principle of mutuality’ learned Senior Advocate relied on as many as on 28 leading cases decided by Hon’ble Apex Court, various High Courts and different benches of Tribunal, copies of which are placed on record in the form of legal paper book. However, in all fairness learned counsel submitted that he mainly relied upon the decision of Apex Court in CIT Vs Bankipur Club  226 ITR 97; Chelmsford Club versus CIT  243 ITR 89; Bangalore Club versus CIT  350 ITR 509 and the decision of Delhi High Court in CIT versus Standing Conference of Public Enterprises (SCOPE) 319 ITR 179 (Delhi). The ld. Counsel further submitted that the AO relied on the case of DCIT Vs Arthur Andersen &Co (ITA No.9125/M/1995) wherein the Tribunal held that tax was required to be deducted at source. It was vehemently argued that the facts of the case in Arthur Andersen & Co is not based on mutuality and the fact of his case are totally different and the ratio of the decision is not applicable on the facts of the present case. The ld. Counsel finally argued that in case the Court come to the conclusion that the assessee is having a mutual association with KPMG International and the assessee was not liable to deduct tax on source, then Cross Objection filed by assessee needs no specific adjudication. 8. We have considered the rival submissions of the parties and gone through the record of the case. Before, discussing the facts of the case we may refer certain relevant provision of Income Tax Act related with the treatment of income with regard to mutual concern, the concept and the Principle of Mutuality, the relevant clauses of agreement of assessee with KPMG International and the relevant Article of India- Switzerland DTAA. Section 2(24) defines “income”. As per S. 2(24)(vii), the profits and gains of any business of insurance carried on by a mutual insurance company or by a co-operative society; are to be treated as part of income liable to tax under the Income-Tax Act, 1961. Section 28 deals with the income chargeable under the head “profits and gains of business or profession”. Under S.28, various types of incomes are chargeable to income-tax under the head “profits and gains of business or profession”. Under S. 28(iii), income derived by a trade, professional or similar association from specific services performed for its members is chargeable to income-tax under the head “profits and gains of business or profession”. This clause makes an exception to the general rule that income of a mutual association is not subject to charge of income-tax. In order words, the concept behind S. 28(iii) is to cut at the mutuality principle being relied upon in support of a claim for exemption, when the assessee actually derives income for making profits as a result of rendering its specific services for its members in a commercial manner. 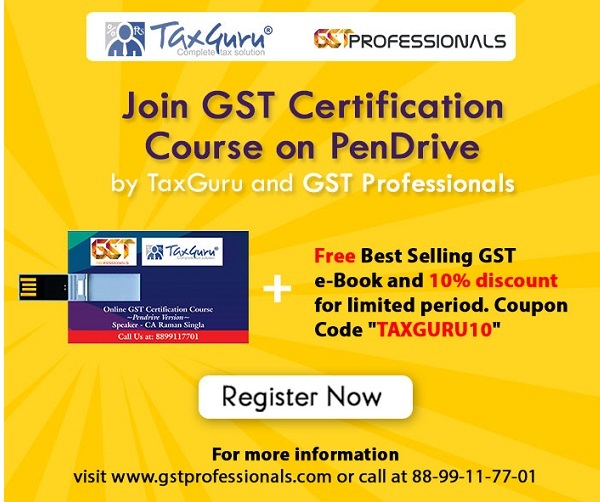 The computation of such income is to be computed in accordance with the provisions of S.44 of the Act or any surplus is to be taken as profits and gains by virtue of the provisions contained in the First Schedule to the Income-Tax Act. 9. The ‘Principle of Mutuality’ is based on the concept that income earned by a person from external sources is taxable. Thus, income derived from oneself cannot be treated as income thus cannot be taxed. This concept has evolved over a period of time, be it through legal precedents. Concept of mutuality was developed centuries back. Mutuality organizations have been in existence since period unknown and have played vital role in the development of the society. Presently, we can see such organizations existing in the shape of insurance companies, societies, clubs, associations etc. Initially mutual organizations were created with the sole purpose of compensating members by providing insurance without any motive to earn profits or gains. Thus, the essential elements of a mutual organization are; (i) it is an association of people called members; (ii) there is a common cause (iii); every member makes his contribution and (iv) the aim of the activity is not to earn profits or gains. 10. We may also refer the relevant clause(s) of Membership Agreement between the assessee and KPMG International. (a) The Member firms shall conduct its affairs in a manner consistent with the objectives, policies, standards and procedures set forth in the KPMG Statutes and the international manual to the end of maintaining the Christies and high professional standard associated with the service Marks. (b) The Member firms shall adopt is transacted plants tenancy initiative which are in line with KPMG International and regional plans: make human resources and financial investment consistent with such plans: and adopt measurements and evaluation consistent with international and regional standards all with a view to member firm operating and behaving as if they were an integral part of a uniform global professional services firm in client services, resorts, location knowledge management and business development. (e) Services: the Member Firms said provide and deliver services of the higher quality to national and international clients in the area of KPMG International’s core services as may be designated as core services from time to time by the International Council. The definitions of such services are set out in the respective technical manual and guidelines issued from time to time by or with the approval of International board and/or the competent international committees (steering groups) established by the International board. Where any particular type of services is designated by the International board and/or the competent international committee (steering groups) established by the International board as unsuitable for proscribed, the members form shall not provide such service to any client. It is further provided that no member firms shall provide services in the operating territory of another member firm without prior consultation with such member firm, and then only we had the required expenses or services capacity is not available locally. This provision shall not however override the basic principle that the best services available must be provided to all clients irrespective of national borders and jurisdictions. In case of dispute concerning the provision of services including the availability and geographic location of the necessary skills and resources, the International board shall review the circumstances of each case and make a decision which shall be binding on all parties to the dispute. (f) Standards : the Member firms shall object the requirements relating to quality performance procedure and programs, advisory firm peer-review, client care, human resources management, risk management international work reference, lead partner and fee sharing policy, and ethics and independence and related area as defined in the respective manuals, toolkits and guidelines issued from time to time by or with the approval of the International board and/or by the competent international committee(steering groups) established by the International board. (g) Technology: the Member Firms shall comply with the requirement of international technology architecture, standards and licensing and purchasing arrangements/agreements as issued from time to time by or with the approval of International board and in accordance with the procedures set out in the international manual. (h) Knowledge Management: the Member Firms shall participate in knowledge sharing and knowledge management processes, and shall adopt the knowledge sharing policies, practices and guidelines to share knowledge and to protect its confidential and proprietary nature as issued from time to time by or with the approval of the International board. (i) Training: development and business information: the Member Firms shall participate in internationally sponsored training and allotment initiatives and in business and professional information gathering efforts and shall share training, development and information processes and best practice. (j) People Exchange and Secondment: …..
(p) The Member Firms shall maintain and submit accurate and complete financial and other practice management information as may be requested by international and/or regional headquarters from time to time for the purpose of measurement of firm growth and performance, professional indemnity, insurance premium allocation and worldwide statistics, within the established guidelines for submissions. The Tata submitted shall comprise detail of member firm and all its subsidiaries identifying the different entities. In this connection, the International board or a percent or persons designated by the International board shall have a right to inspect the accounting records and practice management information of the member firm and its subsidiaries at any time. (q) The Member Firms shall contribute to the international and regional cost of KPMG International, including the cost of professional indemnity insurance is determined from time to time by the international and respective regional boards and shall settle demands for limit of such contributions including professional indemnity insurance premiums and related cost on a timely basis. Failure to settle amount due within the established deadlines set by the International and/or regional headquarters shall result in interest charges as determined from time to time by the International board. (r) The Member Firms shall participate in the International professional indemnity insurance arrangement of KPMG International is determined from time to time by the International board and international concern and shall give prompt notice of all claims and circumstances which may lead to claims as prescribed in the international manual. (u) The Member Firms shall cooperate with the coordination information training and business development activities of the international and regional industry, functional and infrastructure leaders (executives). (x) If a Member Firm is or within the last five years has been provided with the financial assistance by KPMG International [see also Article 6 (a )or 6(b)] the member firm has within the last five years has been a Godfathered practice or the amount of fees income of the member firm relating to international work referred in represent more than 30%( thirty percent) of its total consolidated annual fee income the member firms shall consult with the International board prior to any appointment of new [senior partner/chairman/managing partner] of the member firms. (z) The Member Firms shall at least annually confirmed its compliance with any of the prevailing policies standards and procedures as requested by international headquarters and shall implement any necessary remedial action in the event of non-compliance with such policies, standards and procedures. (a) In the normal course of events the member firms shall be expected to provide practice funding from his own sources or through local funding arrangements. However, in the events that the member firm has recourse to KPMG International for financial support or assistance for whatever purpose the amount of such financial support assistants shall be determined by the International board and based on a proposal submitted by or on behalf of member firm and shall be governed by the provisions of international ownership policy. (b) If such financial assistance is approved it will take the form of an interest-bearing loan the rate of interest for which will be international headquarters borrowing rate plus one percent. If a guarantee or debt to any financial institution is required from KPMG International a guarantee fees equal to 1% of the amount of the debt guaranteed will be charged. (c) In certain circumstances where such financial assistance is provided KPMG International or its designate may under the term of the international ownership policy required to take a stake in the equity of the member firms as further considered in the KPMG International manual. (d) In the event that member firm requires professional or technical assistance in the conduct of its practice or in servicing its clients, this may be provided through the appropriate regional headquarters or by agreements with another member firm in accordance with mutually acceptable terms and conditions. 1. The business profits of an enterprise of a Contracting State, other than the profits from the operation of ships in international traffic, shall be taxable only in that State unless the enterprise carries on business in the other Contracting State through a permanent establishment situated therein. If the enterprise carries on business as aforesaid, the profits of the enterprise may be taxed in the other State but only so much of them as is directly or indirectly attributable to that permanent establishment. 2. Where an enterprise of a Contracting State carries on business in the other Contracting State through a permanent establishment situated therein, there shall in each Contracting State be attributed to that permanent establishment the profits which it might be expected to make if it were a distinct and separate enterprise engaged in the same or similar activities under the same or similar conditions and dealing wholly independently with the enterprise of which it is a permanent establishment. 3. In the determination of the profits of a permanent establishment, there shall be allowed as deductions for expenses which are incurred for the purposes of the permanent establishment, whether in the State in which the permanent establishment is situated or elsewhere. Executive and general administrative expenses shall be allowed as deductions in accordance with the taxation laws of that State. Nothing in this paragraph shall, however, authorize a deduction for expenses which would not be deductible if the permanent establishment were a separate enterprise. 4. In so far as it has been customary in a Contracting State to determine the profits to be attributed to a permanent establishment on the basis of an apportionment of the total profits of the enterprise to its various parts, nothing in paragraph 2 shall preclude that Contracting State from determining the profits to be taxed by such an apportionment as may be customary; the method of apportionment adopted shall, however, be such that the result shall be in accordance with the principles laid down in this Article. 12. The assessing officer while passing the order under section 201 and 201(1A) learnt that assessee made payment of Rs. 3.57 Crore to KPMG International, Switzerland and while making the remittance no deduction of tax at source under section 195 was done. The assessing officer issued a show cause notice dated 11/06/2004 to the assessee. The assessee filed its reply dated 23/06/2004 contending therein that remittance of the said amount did not warrant any deduction of tax at source and therefore, the assessee does not deserve to be treated as an assessee in default under section 201(1) of the Act. The assessee further contended in the reply that the principle of Mutuality applies in its case and the amount remitted by it outside India was in the nature of reimbursement of costs to KPMG International. The amount was remitted to enable the latter in discharging its function within the terms of membership agreement signed with assessee. On further enquiries by Assessing Officer, the assessee submitted the membership agreement and others relevant information as required by him. The contention of assessee was not accepted by assessing officer. According to the assessing officer the remittance made by the assessee to KPMG International is in the nature of ‘royalty’ as laid down under section 9(1)(vi) of the Act and under Article 12 of Indian-Switzerland tax treaty. On appeal before Commissioner (Appeals) the assessee made a similar contention as urged before assessing officer. It was explained that assessee is a partnership firm set up in India in 1993. The assessee entered into partnership agreement and also license agreement in October 1998 with KMPGI which is a non-commercial Association established under the law of Swiss confederation, having its headquarter in Netherland. The object of KPMG International is development, coordination, support promotion and facilitation of the operation of KPMG member firms vis-a-vis with their clients. After considering the contention of assessee and referring the decision of CIT versus Bankipur Club Ltd (supra ), Chelmsford Club versus CIT (supra ), CIT versus Escorts Dealer Association Ltd (119 Taxman 849 Punjab and Haryana), CIT versus Wellington Sport Club (302 ITR 279) and the decision of Delhi High Court in CIT versus Standing Conference of Public Enterprise (SCOPE) 186 Taxman 142, the learned CIT(A) concluded that all contributions came from member firms who directly benefits from the activities of the KPMG International. The identity of the contributors to the fund and recipient of services from the fund is clearly the same, viz member firms. The learned CIT(A) also concluded that all three condition as set out by Hon’ble Apex Court in Chelmsford Club(supra) with regard to identity of contributors, the treatment of contribution in accordance with their mandate and the impossibility that contributors should derive profit from contributions made by themselves to the fund which could only be expended or returned to themselves are fulfilled and thus the assessee qualifies as a mutual arrangement between KPMG International and its member firms and granted relief to the assessee. 13. We have independently examined the facts of the present case in view of the various decisions of the Hon’ble Apex Court and the various High Courts. Thus, it is debatable to review the appropriateness of the application of the mutuality principle as an instrument of Government policy. The position can easily be understood in a very simple way as referred by Hon’ble Delhi High Court in Yum! Restaurants (Marketing) Private Limited versus Commissioner of Income Tax (ITA No.1433/2008 dated 01-04-2009). The brief facts as summarized is that : Parent company , having license arrangement with foreign companies , used to market ready to eat food items through franchisees, formed a new subsidiary company to take care of publicity on behalf of the franchisees with the proper permission of the state authorities. The parent company was granted permission on the condition that the subsidiary would be a non-profit enterprise and that it would not repatriate its dividends. Thus a new company was formed under tripartite agreement with the condition that all the franchisees will be members and will pay 5% of the gross sales in order to carry on co-operative advertisements to promote all the brands of which parent company was a licensee for the mutual benefit of the franchisees. It was expressly stated that surplus if any left in the accounts will not be distributed but will be carried forward for future use as per the terms of the agreement. A return was filed showing income as nil despite the fact that there was a surplus but as per the views of the company the same was not taxable on the principles of mutuality and on no-profit basis. The case was discussed at the assessment stage and the assessing officer was of the view that despite the fact that the company was being run on the basis of mutuality concept, but contributions received were not in accordance with the terms of agreement and the existence of the company was not to deal with a social/charitable cause. The main object of the said company was to promote business on behalf of members for better sales and consequently to earn more and more profit. An appeal was filed with the commissioner of income tax (appeals). The observations made by commissioner of income tax appeals were that the company was set up with a commercial purpose to take care of activities which are crucial for running a successful business and is linked to the profit on sale of franchisees. Further, the company was in no way created for any social or cultural activity where the idea of profit or trade does not exist. The only restriction as per the agreement was not to deal with the outside body to make it a mutual concern. Thus the CIT (A) was of the view that the underlying purpose was solely for commercial consideration and excess of income over expenditure should be brought to the tax. The above view was confirmed by the Tribunal as well as the High Court of Delhi while dealing with the appeals filed by the aggrieved assessee-company. 14. Thus, the concept of Mutuality postulates that all the contributors to the common fund must be entitled to participate in the surplus and that all the participators in the surplus are contributors to the common fund. It is in this sense that the law postulates that there must be a complete identity between the contributors and the participators. The essence of the doctrine of mutuality lies in the principle that what is returned is what is contributed by a member. ‘A person cannot trade with himself’ is the basic idea in the principle of mutuality. It is on the hypothesis that the income which falls within the purview of the ‘doctrine of mutuality’ is exempt from taxation. 15. The basic principle underlying the principle of mutuality is that no one can make profit out of himself as held by Hon’ble apex Court in CIT Vs. Royal Western India Turf Club Ltd., 24 ITR 551 (SC). In other words, no one can enter into a trade or business with himself. The essence of mutuality is complete identity between contributors and participators. 16. In a famous case the Commissioner of Income Tax V. Bankipur Club Ltd  226ITR 97 (Supreme Court) the Supreme Court considered as to whether a surplus of receipts over expenditure generated from the facilities extended by a club to its members were exempt on the ground of mutuality. The Supreme Court reiterated the principle that in the case of a mutual society, there must be a complete identity between the class of contributors and of participators. 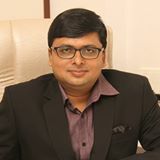 In Sports Club of Gujarat Limited V. Commissioner of Income Tax – 2009 -TMI 77939 – (Gujarat High Courts) the High Court held that one of the essential requirements of mutuality is that the contributors to the common fund are entitled to participate in the surplus thereby creating an identity between participators and the contributors. Once such identity is established, the surplus income would not be exigible to the tax on the principle that no man can make a profit out of himself. 17. The Hon’ble Supreme Court in Bangalore Club VS CIT 350 ITR 509 (SC) considered and analyzed the legal precedents concerning the principle of mutuality on the basis of various earlier decisions and laid down three principle conditions for application of the principle of mutuality. (i) There must be complete identity between the contributors and the participants. This means identity as a class, so that at any given moment of time the persons who are contributing are identical with the persons entitled to participate; it does not matter that the class may be diminished by persons going out of the scheme or increased by others coming in. At the same time, that does not mean that each member should contribute to the common fund or that each member should participate in the surplus or get back from the surplus precisely what he has paid. The test of mutuality does not require that the contributors to the common fund should willy-nilly distribute the surplus amongst themselves: it is enough if they have a right of disposal over the surplus and in exercise of that right, they may agree that on winding up, the surplus will be transferred to a similar association or used for some charitable objects. This also means that sooner or later, the whole of the association’s receipts must go back to the members as a class, though not precisely in the proportions in which they have contributed to them and the association does not in any true sense make any profit out of their contributions. (ii) The second condition demands that the actions of the participants and the contributors must be in furtherance of the mandate of the association. In the case of a club, it would be necessary to show that steps are taken in furtherance of activities that benefit the club and, in turn, its members. The mandate of the club is a question of fact and can be determined from the memorandum or articles of association, rules of membership, rules of the organization, etc. However, the mandate must not be construed myopically. While in some situations, the benefits may be evident directly in the short-run, in others, they may be accruable to an organization indirectly, in the long run. Space must be made for both such forms of interaction between the organization and its members. (iii) The third condition is that there must be no scope of profiteering by the contributors from the fund made by them, which could only be expended or returned to themselves. If the people were to do the thing for themselves, there would be no profit, and the fact that they incorporate a legal entity to do it for themselves, would makes no difference, there is still no profit. This is not because the entity of the company is to be disregarded. It is because there is no profit, the money being simply collected from those people and handed back to them, not in the character of shareholders, but in the character of those who have paid it. However, at what point mutuality ends and commerciality begins is a difficult question of fact. Applying the above legal position to the facts of the present case, the court found as follows: (a) Identity: The arrangement lacked a complete identity between the contributors and the participants. Till the stage of generation of surplus funds, the set-up resembled that of mutuality; the flow of money, to and fro, was maintained within the closed circuit formed by the banks and the club, and to that extent, nobody who was not privy to this mutuality, benefited from the arrangement. However, as soon as these funds were placed in fixed deposits with banks, the closed flow of funds between the banks and the club suffered from deflections due to exposure to commercial banking operations. During the course of their banking business, the member banks used such deposits to advance loans to their clients. Hence, in the present case, with the funds of the mutuality, member banks engaged in commercial operations with third parties outside of the mutuality, rupturing the ‘privity of mutuality’, and consequently, violating the one-to-one identity between the contributors and participants as mandated by the first condition. Thus, the first condition for the claim of mutuality is not satisfied. (b) Excess Funds: The excess must be used for furtherance of the mandate of the association. This second condition demands that to claim an exemption from tax on the principle of mutuality, treatment of the excess funds must be in furtherance of the object of the club, which was not the case here. In the instant case, the surplus funds were not used for any specific service, infrastructure, and maintenance or for any other direct benefit for the members of the club. These were taken out of mutuality when the member banks placed the same at the disposal of third parties, thus, initiating an independent contract between the bank and the clients of the bank, a third party, not privy to the mutuality. This contract lacked the degree of proximity between the club and its member, which may in a distant and indirect way benefit the club. Nonetheless, it cannot be categorized as an activity of the club in pursuit of its objectives. It needs little emphasis that the second condition postulates a direct step with direct benefits to the functioning of the club. (c) Absence of profiteering: This principle requires that the funds must be returned to the contributors as well as expended solely on the contributors. True, that in the present case, the funds do return to the club. However, before that, they are expended on non – members i.e. the clients of the bank. Banks generate revenue by paying a lower rate of interest to club-assessee, that makes deposits with them, and then loan out the deposited amounts at a higher rate of interest to third parties. This loaning out of funds of the club by banks to outsiders for commercial reasons, snaps the link of mutuality and thus, breaches the third condition. There is nothing on record which shows that the banks made separate and special provisions for the funds that came from the club, or that they did not loan them out. Therefore, clearly, the club did not give, or get, the treatment a club gets from its members; the interaction between them clearly reflected one between a bank and its client. The Hon’ble Apex Court held that the principle of mutuality did not apply to the interest earned by the assessee from the fixed deposits placed with its corporate members. 18. In CIT Vs Standing Conference of Public Enterprises (SCOPE)  319 ITR 179 (Delhi High Court) the parties agreed before the High Court that the issue as to whether receipts on account of interest earned from surplus funds deposited with the banks would be taxable would follow by the application of the principle of mutuality. The Delhi High Court was of the view that simply because some incidental activity of the assessee is revenue generating that does not give any justification to hold that it is tainted with commerciality and reaches the point where a relationship of mutually ends and that of trading begins. The ratio of various decisions relied by learned DR are not applicable on the facts of the present case as the facts of those cases are at variance. 19. With the above discussion we may conclude that in the case in hand, there is a complete identity between the contributors and participators; the actions of the participators and contributors are in furtherance of the mandate of the association. There seems be no element of profit by the contributors from a fund made by them, which could only be expended or returned to themselves. Based on these conditions and respectfully relying on the case laws as the Hon’ble Apex Court and various High Courts laid down that the case of the assessee falls within the four corner of the ambit of the ‘Principle of Mutuality’. Thus, we do not find any reason or ground to interfere in the order passed by learned Commissioner (Appeals) hence the appeal filed by the revenue is dismissed. 20. As we have dismissed the appeal of the revenue affirming the order of learned Commissioner (Appeals) hence, the ground of appeal and additional ground raised in the cross objections have become infructuous. In the result the cross objection filed by assessee is dismissed as infructuous. 21. In the result appeal filed by revenue is dismissed and the cross objection filed by assessee is dismissed being infructuous. Order pronounced in the open court on 07th this day of April 2017.